These color compare crocheted squares are a time saver! 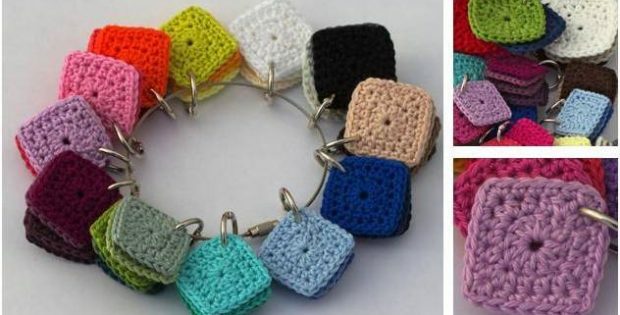 They will make crocheting life more organized and truly easier! The little crocheted squares will let you mix and match the right colors even before you start a crochet project. Say goodbye to tacky color combinations! In fact, this project is an excellent tool for crocheters of any level. Everyone will definitely find these little squares totally useful. This helpful crocheting tool is an awesome design by Carmen Rosemann from My Crochet Projects. In fact, you can access the FREE downloadable pattern for this crocheted crafting essential. The instructions are both in English and German. Featured image: Carmen Rosemann/ My Crochet Projects – thank you!